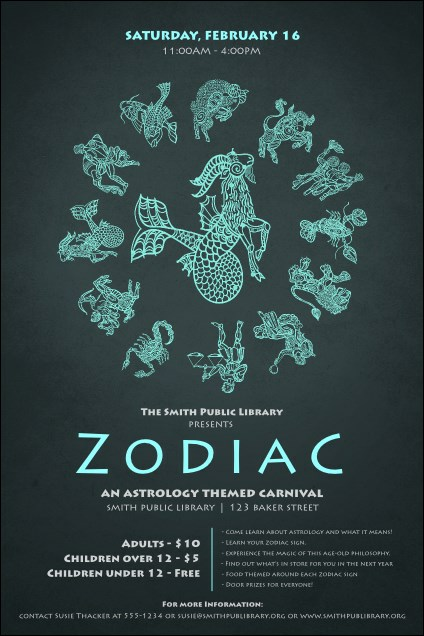 The stars align for your celestial celebration with this Zodiac Poster. The bold teal designs of all the zodiac signs stand out among the deep, dark blue background. With plenty of room for your event information, this poster appeals to earth, water, air, and fire signs alike! Predict a successful event future with the help of TicketPrinting.com.